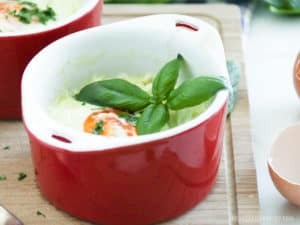 When it’s cold and dark outside, curl up in front of the fire with a warm bowl of low-carb cauliflower cheese soup and maybe a nice glass of red wine. 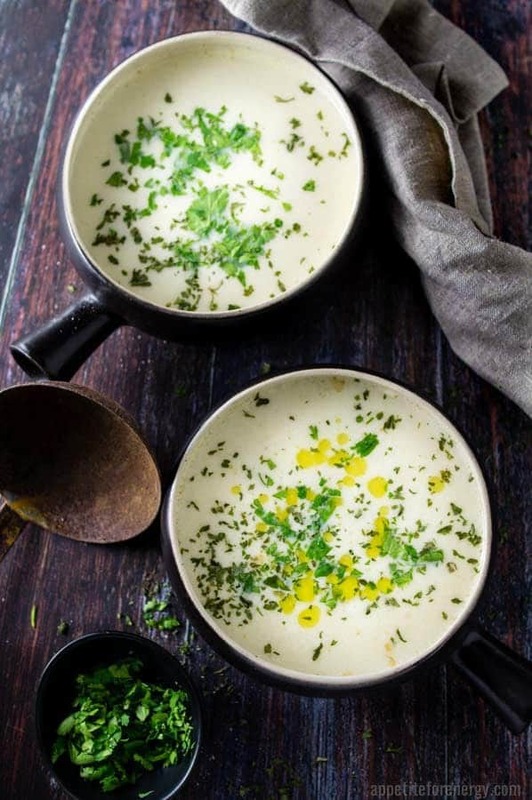 What could be better than ladling out a steaming hot bowl of low-carb cauliflower cheese soup, sprinkling over some fresh herbs and knowing that you are getting a low-carb meal that is also full of healthy vegetables? 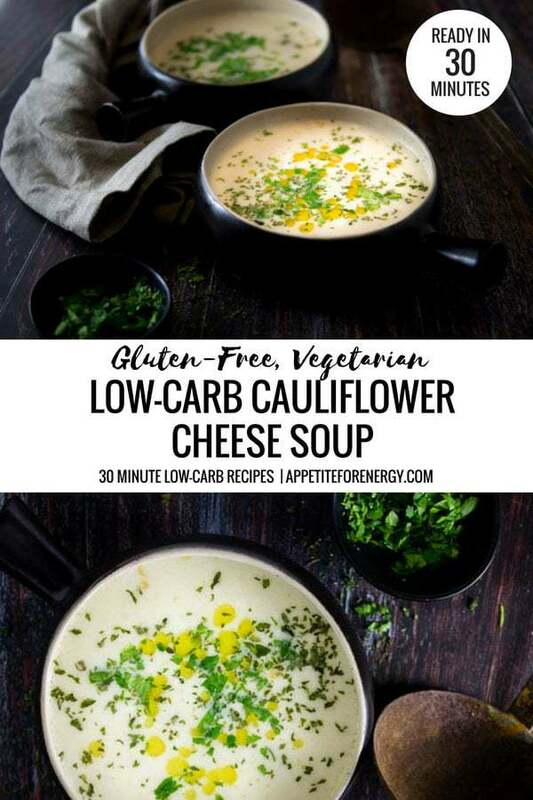 This delicious low-carb cauliflower cheese soup uses only 5 ingredients and will be on your table in 30 minutes. It doesn’t get much easier than that. 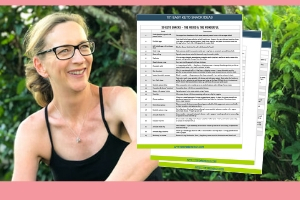 Do your kids or partner, not like cauliflower? The addition of cream cheese does a good job of disguising the cauliflower flavor and takes the taste to a whole new level. Have you tried 10 Minute Cauliflower Rice or Low-Carb Creamy Cauliflower Mash? These recipes are also winners in the cauliflower disguising mission. This recipe is so simple to make – start with around 500g of cauliflower or half a large head of cauliflower. Start by sauteing the garlic in some olive oil, in a large saucepan. Wash and break, or cut off the florets. I usually chop the florets in half as this helps them cook quicker. Add the chicken stock or broth, the cream cheese and some salt and pepper and stir. Now, you simply add the cauliflower to the liquid. The cauliflower should be mostly submerged. Give it a good stir and bring to the boil. Once boiling point is reached, reduce the heat way down and let the soup simmer for around 20 minutes or until the cauliflower is cooked. 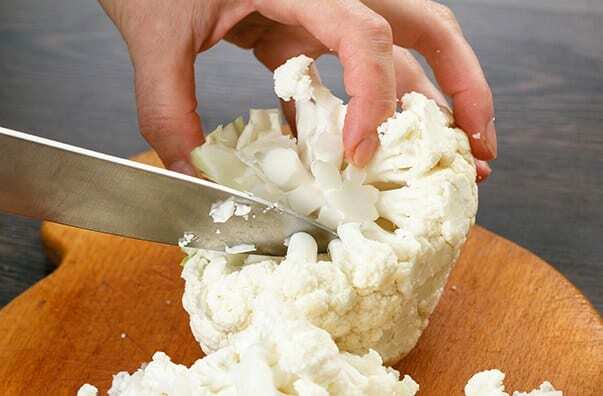 I test the cauliflower by sticking a sharp knife into the cauliflower. If it goes in easily, then it is cooked. If it is still a bit hard then cook for another 3-5 minutes. Then, I get out my trusty handheld immersion blender and blend the soup. If you don’t have one you can transfer the soup to a food processor or blender. Whichever method you choose, be careful as the soup will be very hot. Or, you could cut the cauliflower up into very small pieces and you will have a chunky style soup instead. Serve the soup with a good grind of pepper and some fresh green herbs sprinkled on top – I like coriander or basil. 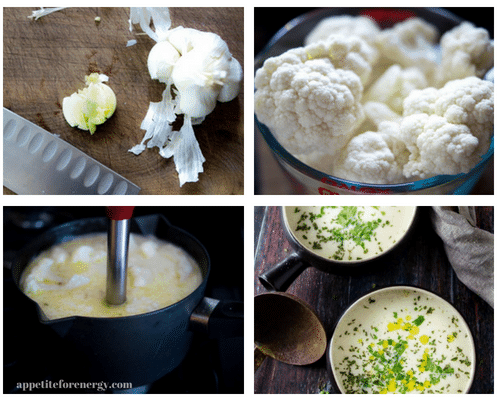 30 Minute Low-Carb Cauliflower Cheese Soup comes in at 10g of net carbs. Considering you are getting a good serving of fibrous vegetables in this soup – it’s a great low-carb healthy dinner option. 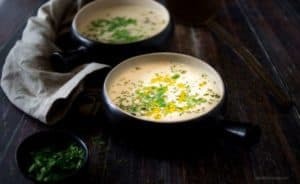 This delicious low-carb cauliflower cheese soup uses only 5 ingredients and will be on your table in 30 minutes. 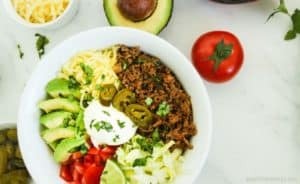 Perfect for busy weeknights with 10g of net carbs. Heat the olive oil in a large saucepan or pot over medium heat. Add the garlic and cook for 1-2 minutes, until fragrant. Add the chicken broth, cream cheese and cauliflower and stir well. Grind over some salt and pepper. Bring to the boil, then reduce the heat and simmer for 20 minutes or until cauliflower is tender. Blend the soup using an immersion blender or regular blender. Serve with a good grind of black pepper and fresh cilantro or basil. Optional extra - drizzle over some extra virgin olive oil. One serving is 1 1/3 cups. 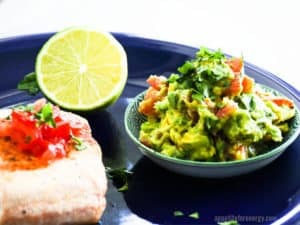 If you like 30-minute recipes, FOLLOW us on Pinterest to get access to our collection of hundreds of 30 Minute Low-Carb recipes….